To this point, things have been quiet on the promotional front for the UFC 229 lightweight title fight between champion Khabib Nurmagomedov and Conor McGregor. The UFC announced today that next week, Sept. 20, a press conference with UFC President Dana White, Nurmagomedov and McGregor will be held at Radio City Music Hall in New York. The event will be closed to the public; only media will have access. UFC 229 takes place Oct. 6 at T-Mobile Arena in Las Vegas and airs on pay-per-view following prelims on FS1 and UFC Fight Pass. 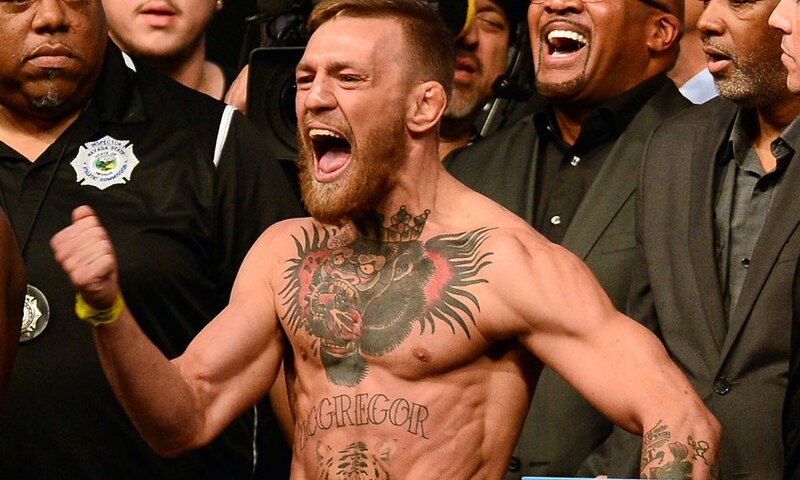 Nurmagomedov (26-0 MMA, 10-0 UFC) vs. McGregor (21-3 MMA, 9-1 UFC) will headline the show. Last month, White said he was “confident” that Nurmagomedov vs. McGregor could lead UFC 229 to do 2 million pay-per-view buys and didn’t rule out the possibility of 3 million. That would set a UFC record, eclipsing the 1.6 million mark for UFC 202, which was headlined by a rematch between McGregor and Nate Diaz. The highly anticipated bout between Nurmagomedov and McGregor is coming to..